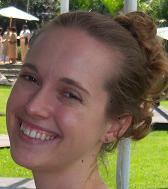 Elissa is a DONA Postpartum Certified Doula and holds degrees in Psychology and Child Development. For over 15 years she has worked with families in a variety of areas including sleep learning, behavior and parent/child communication. She prides herself on working to balance attachment and attachment parenting with a baby’s biological need for sleep. Along with sleep services she offers many online classes focused on aspects of your child’s development including sleep, meltdowns and social, mental and physical growth. Elissa is the founder and owner of IQ Baby, and works independently of Becky and Nurtured Mommy. She is just a fabulous resource that you'll definitely want to utilize if your family is having challenges with sleep, as many families do! Learn healthy infant sleep habits, tips and tools for improving sleep, as well as how to navigate around sleep roadblocks. Learn about common sleep problems parents encounter with babies, causes, and step-by-step solutions. Learn about common sleep problems parents encounter with toddlers, causes, and step-by-step solutions. Explore your baby’s world and development via 3 classes; Sleep, Active, & Meltdown. For previews, check out the videos/slideshows on the IQ Baby website. Explore your toddler’s world and development via 3 classes; Sleep, Active, & Meltdown. The Sleep class reviews: normal toddler sleep, sleep stages, optimal sleep environment, pre-bedtime environment, sleep roadblocks, reading sleep cues. The Active class reviews: mental, physical & social development, verbal & sign language, eating habits & behaviors, patience & respect, teaching self-control and how to avoid meltdowns. The Meltdown class reviews: understanding meltdowns, avoiding meltdowns, minimizing meltdowns, toddler communication, anatomy of a fib and the "time-out". A 45 minute phone consultation where we will review your child's sleep, including sleep education, tips and tools for improving sleep. This is a package that includes a 45 minute phone consultation where we will review your child’s sleep including sleep education, tips and tools for improving sleep, as well as building a plan together to move sleep in a better direction. You will also receive 3 or 4 weeks of check-in’s to review the plan as well as answer any questions you may have. This package will give you all the information necessary to help avoid any sleep problems now and in the future. Plus, I will be at your service for one week to answer any questions you might have.